A Diamond Select Toys release! Who knew Harley Quinn was such a Mistress of disguise! 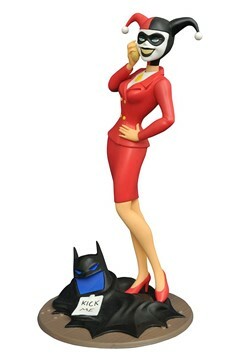 In this all-new PVC figure based on Batman: the animated series, a suit-wearing Harley Quinn re-applies her make-up after going undercover as a lawyer in the classic episode 'The Man Who Killed Batman.' At her feet lies Batman's cape and cowl, with a 'Kick Me' sign stuck to the back. 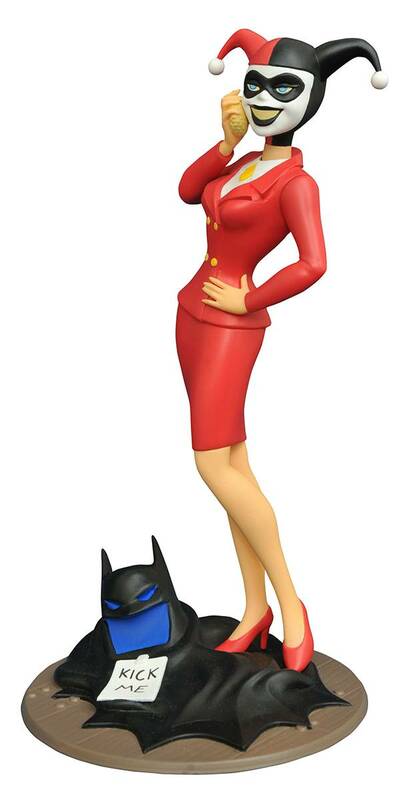 This 9' scale PVC figure features collectible-quality sculpting and paint applications, and is in scale to all Gallery and Femme Fatales PVC figures. Packaged in a full-color window box..